A Scenographic editor at your disposal! The arrival of the Scenographic Editor is the first public stage of our great project to make the Ryzom Arkitect creation tool available to all our players. What is the Scenographic Editor? 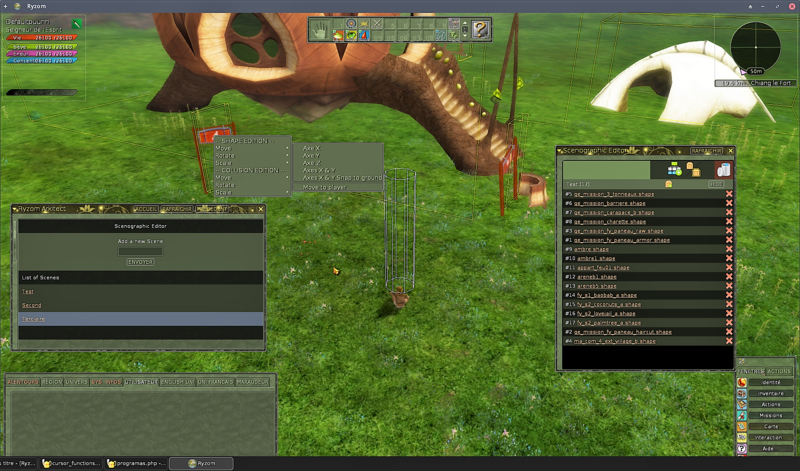 The Scenographic Editor is the first module of Ryzom Arkitect to be made available to you. From the beginning of 2017, there will gradually be different modules that will in the end make Ryzom Arkitect a complete Scenario Editor, enabling everyone to create personal content. Specifically, the Scenographic Editor will allow you to place a scenery on maps of the game by adding static objects of your choice, among more than 3600 objects, constructions, pieces of armor and elements of vegetation accessible in the database. The interface allows to place the different elements of the decoration with the mouse, which gives a great ease of use. Different options accessible via context menus allow you to refine the result. Thus, it is possible to place an object in all the space (axes X, Y and Z), but also to resize or rotate it. The Scenographic Editor will also replace the current edition of apartment objects via Ryzhome and will pave the way for a "Halls of Guild" version of Ryzhome. You should then have the opportunity to furnish your guild halls. The Scenographic Editor will be opened in two stages : first one, in beta, will allow you to test the tool on a map. It will be implemented on December 23rd during a client patch. The second, giving access to almost 100 maps (the old Ryzom Ring instances), will be implemented at the beginning of 2017. Starting December 23, the Scenographic Editor will allow you to create your own Christmas village on an island. A "Ring" teleporter will allow you to go to this island and then return to your starting point.You will be able to create different scenes which will be private, in order to make tests. Once you are happy with your creation you will be able to make one public so that your village can be visited by all. Note that for the first time, the Silanese will be able to leave the training island thanks to the teleporter "Ring", destined to the Christmas Village, before returning exclusively to Silan by the same means. This novelty is a prelude to the gameplay modification planned for early 2017 : free comings and goings for all between Silan and the Continent. One step closer to "Power to Players"
Thanks to the forthcoming opening of the Scenographic Editor and then the Scenario Editor, both components of the Ryzom Arkitect authoring tool, we are taking another step towards "Power to Players" which, more than ever , remains our motto. Please give us your feedbacks there! The Scenographic Editor will not be activated before several more hours because of some server patch issues. 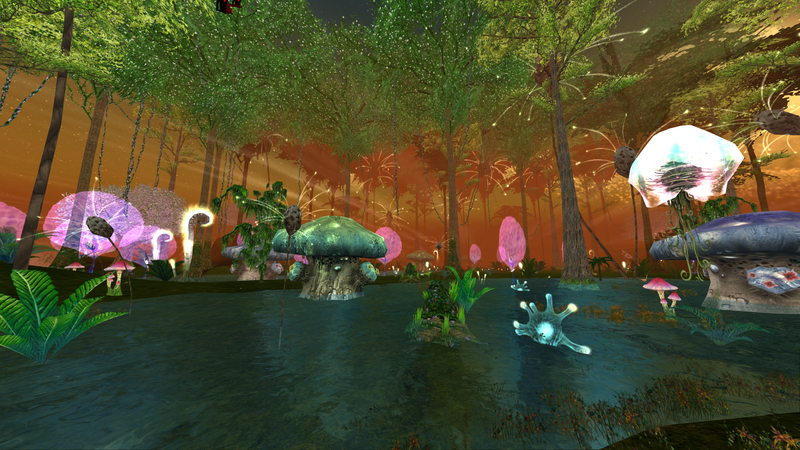 See http://app.ryzom.com/app_forum/index.php?page=topic/view/26327/4# 4 for more infos. The Scenographic Editor is available! : http://app.ryzom.com/app_forum/index.php?page=topic/view/26338/. 1- Go to a Ring teleport near the capitals, in Marauder camp, or on Silan next to Chiang. 2- Click on it, then on "Open the Scenographic Editor". It will teleport you to a map in which you can create your own village. 3- To exit the map (go back to your location before going to the island), click on "Exit" in the main Scenographic Editor window (the one with the scene list). Please notice that there is currently a bug that makes the Editor crash if you show/hide items. A fix will be added on Monday. Please give us your feedbacks on this topic! -The list of scenes now includes all the characters of the account. -Correction of client crashes due to group display/masking. -Addition of icons in the context menu. -NEW april 2017 Possibility to move a scene in public mode on Atys. -NEW april 2017 Enter another player's instance. -NEW april 2017 The list of scenes includes all of the characters in the account. Scenographic Editor : make your landscapes public! Since the recent release of the Scenographic Editor, each player has had the opportunity to create his own sets (called scenes) on a specific island accessible from a Ring teleport. These scenes, until now, could only be seen in game by their creator, as for example this one, shared on the Ryzom forum. That changes from now on. Each scene creator will now be able to select one of them to make public with a simple click in the window of the Editor.This opening is global for the moment, in other words everyone can go to the island of the player to see the scene he/she has made public. Later it will be possible to invite specific guest players and to make additional scenes public without limit. - 10 scenes chosen at random for those who like surprises. - a "Ranking" tab which will display, at first, the 20 best-rated scenes. We remain at your disposal for any further information and wish you a good game on Atys! P.S. To help us improve the Scenographic Editor, we invite you to share your feelings and requests for improvements here. The project shifted from "novelty" to "maintenance". The main of the work is done. Improvements according to your feedbacks and suggestions remains to be done. 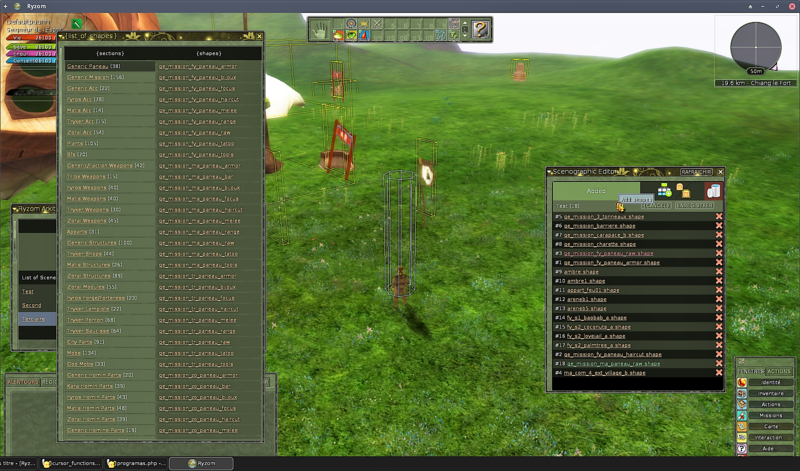 -Added the possibility of switching public scenes on Atys. -The list of scenes includes all of the characters in the account.